Our children need to have the educational tools to succeed. Aird believes in universal pre-school education so all children are learning through those critical years of their life and begin school on target with their peers. To ensure that, Aird will support initiatives that prevents childhood poverty, homelessness and childhood hunger. Additionally, as an administrator at Richard Bland College, Aird will advocate for resources to ensure the proper preparation for higher- education pathways or access to job-readiness training and credentials. Aird will actively pursue the cause of making sure that woman get equal pay for equal work. As a mother and wife, she will be an advocate for women’s reproductive access and work to ensure that they have the right to choose. She believes that the decision of family planning should remain at the discretion of a woman. We need to provide services for our seniors and our veterans, both of whom have made critical contributions to our communities and our well-being and now deserve our help and support. As the daughter of a Veteran, Aird understands the resources that our veterans need; Aird will support legislation that increases veteran care including tax cuts for veterans. Also, Aird will give special attention to focusing on the challenges of female veterans and those veterans under 25 to ensure we are providing all necessary access to services. Having been a resident of the 63rd District for nearly 10 years, Aird understands that violence is a problem that can only be addressed together. Using her influence, Aird will work to initiate projects that will strengthen not only law enforcement departments, but also their outreach into our communities. 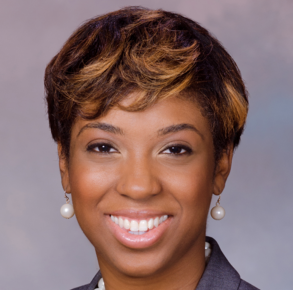 If you have any questions for Lashrecse Aird, send them to Todd Gillette at todd.gillette@gmail.com. Todd will first see if Lashrecse Aird has answered your question somewhere else. If they haven't, Todd will pass on your question to Lashrecse Aird and post their answer, if they have one. If you have any suggestions for Lashrecse Aird, especially if you are a current or former constituent, send them to Todd Gillette at todd.gillette@gmail.com. Todd will record your suggestions here. 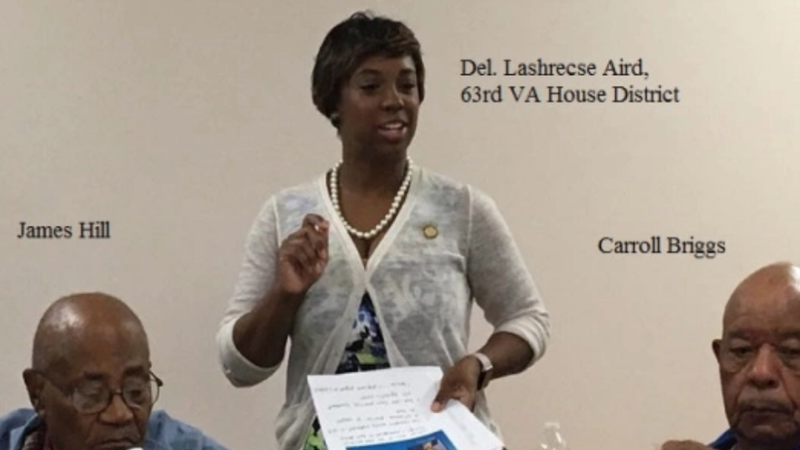 If you have something positive to say about Lashrecse Aird and you are a Virginia onAir Hub member, send your recommendations to Todd Gillette at todd.gillette@gmail.com.